Our health is often undervalued until our daily lives are impacted and patients then look to "Get Well" as fast as possible. Dr. Renshaw believes there is a difference between relieving symptoms and achieving optimal health. If your visit is inspired by a recent accident or over-work, his first goal is to help you "feel better" ASAP. If you then choose to minimize or eliminate the cause of your aches and pains, Dr. Renshaw is committed to creating a unique partnership with you and supporting you in your path to wellness. Dr. Renshaw has been practicing chiropractic since 1995; prior to that he worked in the sport science field of performance evaluation. 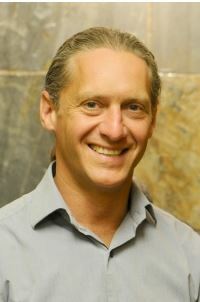 His focus in treatment is primarily based on his studies of Applied Kinesiology, which connects muscle imbalances to spinal nerve function as well as your organ and gland health. If we can understand the cause, we can direct our own recovery. By combining spinal adjustments, exercise, good nutrition and stress reduction, the best possible health can be achieved. Dr. Renshaw has enjoyed being a chiropractor from the moment he saw his first patient. Although no one type of doctor can do everything, Dr. Renshaw believes he can play a helpful role. Painful & uncomfortable symptoms need not disrupt your work, home and social activities or recreational fun.